At QSAN we have always strived to bring our customers the highest levels of support and service at an affordable price. Modern businesses can no longer tolerate down time, 24/7 operation is the norm. So as part of our global strategy, we have built our systems to the highest possible standards, but piece of mind in the rare event of any issues is important. So we have carefully crafted our service levels to match business needs in a simple and affordable way. These support packages are designed to enhance the free warranty that come with all QSAN devices. Every business is different, so we wanted to have tailored packages that match the service levels for anyone from a small business up to enterprise customers with multi-site and international locations. For details on the support packages in your area, please see the table below, or feel free to contact us to find out more. Currently these support services are only available in the EU for all QSAN product lines. Any country outside of the regions outlined below are unable to be covered by the current level of service. However, for those outside the EU we may be able to tailor a package for you, so please contact your QSAN representative to find out more. For logistical reasons, some remote EU areas may be limited to certain SLA’s, for any questions please contact our QSAN sales team who will be happy to go through this in detail. Exclusive support services are classified into the following three levels. 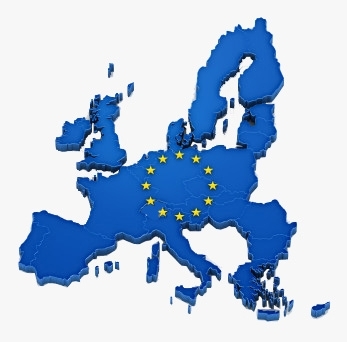 Different countries in Europe may have different support services provided. The following table shows the conditions and restrictions. * Customs procedures might be involved for the Advanced Replacement services in Switzerland, which might extend the replacement process. ** 5x9x4h onsite intervention in Poland restricted to 100km radius from: Katowice, Wroclaw, Warszawa, Poznan. *** Advanced replacement in Sweden might be restricted to the areas of DHL delivery. NBD on-site support restricted to 100km radius from: Stockholm, Gothenburg, Malmö. **** Customs procedures might be involved for the Advanced Replacement services in Norway & Finland, which might extend the replacement process. ***** Czech Republic NBD onsite service level is restricted to Prague area . Please contact us for any other regions.